Professional Geriatric Care Managers are professionals educated in social work, nursing, gerontology or related fields. They serve as objective professionals who conduct observations, make well-grounded assessments, and advise families in making those sometimes difficult decisions about their older loved ones. Professional Geriatric Care Managers are often a key component in assessing care needs and overseeing the delivery of services to take care of those needs. 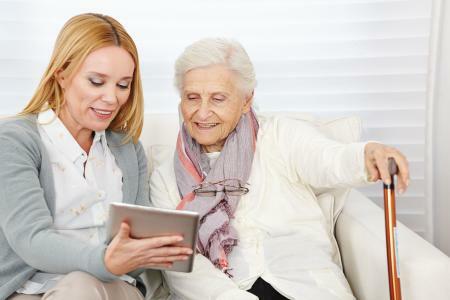 Professional Geriatric Care Managers are also the best choice for guidance on “placement” choices, that is, when you have decided that you need to find an appropriate care facility for your elderly loved one. Our sister company, A Servant’s Heart Geriatric Care Management, provides professional geriatric care management services and we invite you to visit that company’s website to learn more about these services.